Indoor air pollutants such as formaldehyde, VOCs, air borne biological pollutants and pesticides have a negative impact on your health. The presence of pollutants in the indoor air lead to sick building syndrome which results in allergies, headaches and fatigues. The air quality deteriorates when the pollution level is high outside. Considering the increasing amount of air pollution, home owners look for ways to keep the indoor air clean such as using air purifiers. However, many people also opt for air purifying plants instead of using an air purifier as a natural way to clean the indoor air. So, in this blog, we list 5 air cleaning plants to combat indoor air pollution. Native to Asia and Australia, Money Plant is a powerful air purifying plant that cleans the indoor air. The plant is particularly effective for dealing with indoor air pollution caused by VOCs. Money plant is ideal for removing airborne pollutants from the indoor air such as Benzene, formaldehyde, Carbon Monoxide, and xylene. 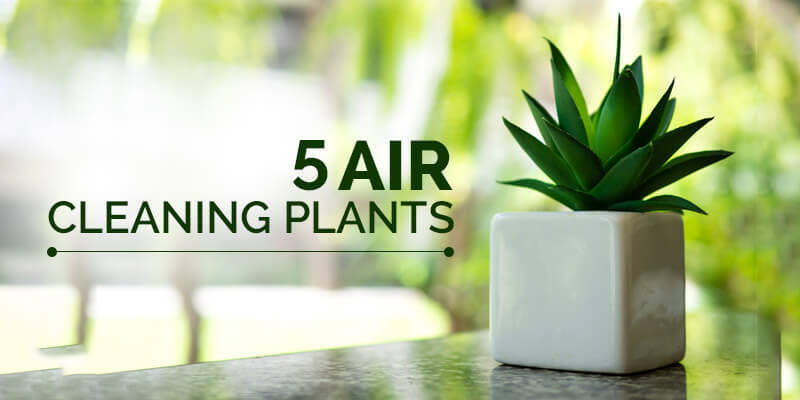 Being one the easiest air purifying plants to grow and maintain, money plant is a perfect natural air purifier for your homes, especially when the pollution levels are at peak. Also known as Mother-in-law’s Tongue, Snake Palm is another air purifying plant that you can grow at home. The air purifying plant is ideal for removing harmful indoor air pollutants such as benzene, trichloroethylene, xylene and formaldehyde. In fact, Snake Palm can remove approximately 107 variants of pollutants from the indoor air. The plant also supplies a copious amount of oxygen throughout the night, which makes it an excellent plant for bedrooms. Also known as Butterfly Palm, Areca Palm is highly effective in removing toluene and xylene. The combination of toluene, formaldehyde and dibutyl are also known as the toxic trio which can be very harmful to your health. Areca Palm effectively removes these harmful toxins from the indoor air and also emits a large amount of water vapor, which is a boon for dry locations. Another indoor plant that removes indoor air pollutants is the spider plant. The air purifying plant fights against carbon monoxide, formaldehyde or xylene. Spider plants are the easiest houseplants that you can grow at home and doesn’t need too much maintenance. Make sure you keep the plant in bright and indirect sunlight so that it lasts long. A deep forest green plant, Peace Lily is a great air purifier. The air purifying plant effectively removes common indoor air pollutants that emitted by the furniture, electronics and cleaning products. The high transpiration rate purifies and also humidifies the indoor air. Are Air Purifying Plants Enough to Combat Pollution? Considering the points above, it is advisable to use an air purifier instead of air purifying plants, especially when the pollution levels are very high. 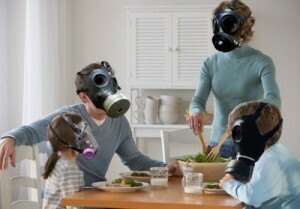 KENT HEPA air purifiers remove harmful contaminants from the indoor air so that you breathe safe. Check out the range of HEPA air purifiers here.